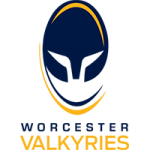 Worcester Valkyries picked up two bonus points in their Tyrrells Premier 15s opener on Saturday but fell to a narrow 27-24 defeat to Darlington Mowden Park Sharks at Northern Echo Arena. 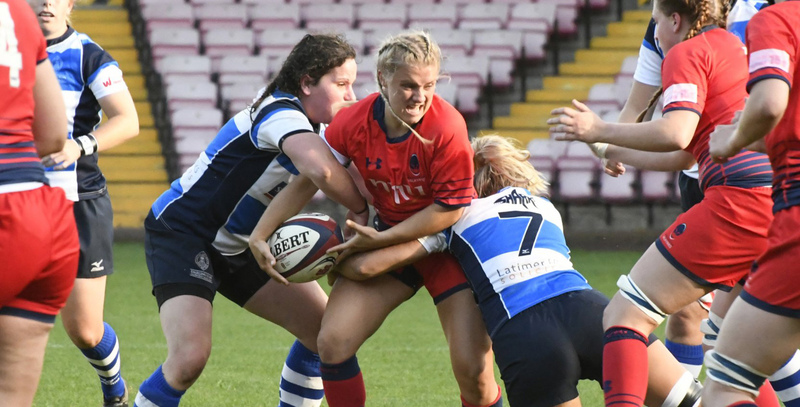 Valkyries bagged four tries for a bonus point, something they failed to do in the whole of last season, as Zoe Bennion, Thea Thompson, Nat English and Carys Cox crossed the whitewash. However, DMP also scored four tries through Hannah Morton, Heather Kerr, Lisa Thomson and Katherine Hobson and Fiona Dewar’s penalty proved the difference for Sharks, despite an impressive showing for Roy Davies’ Valkyries. Following an even start to the game, DMP struck against the run of play to open the scoring. Turning over the ball on halfway, a kick deep into Valkyries territory was recovered well by Morton who touched down in the corner. From the restart, however, Valkyries were determined to hit back. Their sustained pressure was rewarded through Bennion who couldn’t be stopped, emerging off the back of a five-metre scrum. After a well-fought battle which took place mostly in midfield in the first-half, DMP opted to go for the posts when the opportunity arose and Dewar’s penalty put them back ahead. It was Valkyries who went into the break with the advantage though after a lengthy spell in the DMP half. The hosts were pinned into their 22 and forced into making a handling error which Thompson punished them for by scoring after evading a couple of tackles. 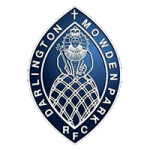 DMP began the second-half the stronger of the two sides and were able to regain and stretch their lead with converted tries from Kerr and Thomson. Valkyries soon found their feet again and were back scoring within three minutes of the restart. The forwards went to work following a lineout and after a series of pick-and-gos, English was the one to get over the line for Roy Davies’ side. DMP responded instantly, however, as Hobson added another five points to their tally to settle the home crowd’s nerves. In the 20 minutes that followed most of the rugby was played just inside the DMP half but Valkyries couldn’t penetrate despite some powerful drives and excellent hands getting them up the pitch. Valkyries continued to dominate in the latter stages of the game and set the game up for a nail-biting finish. A move that included good forwards work and expansive backs play saw the ball spread quickly out wide where Cox joined the attacking line and took advantage of the overlap created to bring Valkyries within three points. Valkyries threatened to win the game in the dying seconds but weren’t able to keep the ball in play as they came up just short in an enthralling contest. Valkyries’ next fixture sees them travel to Allianz Park where they will face Saracens Women on Saturday 15 September (kick-off 2.30pm).